Anastasia Medical Group – Internal medicine and Podiatric medicine/surgery. 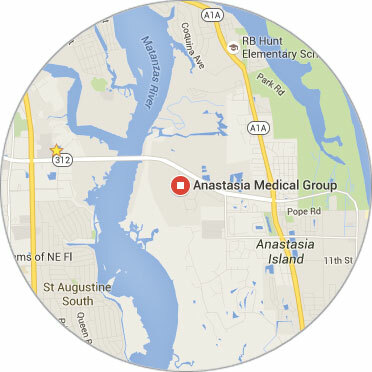 Anastasia Medical Group is dedicated to providing state of the art comprehensive medical care to its patients. Our practice integrates internal medicine and podiatric medicine/surgery. We are dedicated to providing preventative medical care through patient education, and the diagnosis, treatment and rehabilitation of the conditions caused by illness and injury. We offer the newest and the most innovative of procedures that provide the best patient outcomes. We are a progressive medical facility where you are the heart of our mission. We hope you’ll consider us to be a part of your healthcare team. The physicians at Anastasia Medical Group are all Board Certified in their individual specialty board.